Norman Cantor delivers this compact but magisterial survey of the ancient world, from the birth of Sumerian civilization around 3500B.C. in the Tigris-Euphrates valley (what is now present-day Iraq) to the fall of the Roman Empirein A.D. 453. 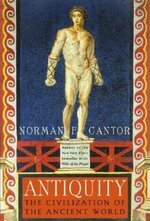 In Antiquity, Cantor covers such subjects as Classical Greece, Judaism, the founding of Christianity, and the triumph and decline of Rome. In this fascinating and comprehensive analysis, the author explores social and cultural history, as well as the political and economic aspects of hisnarrative. He explains leading themes in religionand philosophy and discusses the environment, population, and public health. With his signature authority and insight, Cantor highlights the great books and ideas of antiquity that continue to influence culture today. 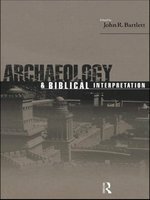 In Ephraim Stern's sequel to Archaeology of the Land of the Bible, Volume I, by Amihai Mazar, this world-renowned archaeologist who has directed excavations in the Holy Land for many years offers a dramatic look at how archaeological research contributes to our understanding of the connections between history and the stories recounted in the Bible. 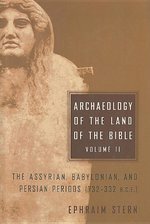 Stern writes about various artifacts unearthed in recent years and relates them to the Assyrian, Babylonian, and Persian periods in the Bible. Accompanied by photographs and illustrations of rare ancient relics ranging from household pottery to beautifully crafted jewelry and sculpture. His discussions bring the biblical world to life. The difficulty of interpreting the Bible is felt all over today. Is the Bible still authoritative for the faith and practice of the church? If so, in what way? 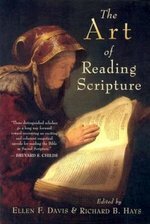 What practices of reading offer the most appropriate approach to understanding Scripture? The church's lack of clarity about these issues has hindered its witness and mission, causing it to speak with an uncertain voice to the challenges of our time. This important book is for a twenty-first-century church that seems to have lost the art of reading the Bible attentively and imaginatively. The Art of Reading Scripture is written by a group of eminent scholars and teachers seeking to recover the church's rich heritage of biblical interpretation in a dramatically changed cultural environment. Asking how best to read the Bible in a postmodern context, the contributors together affirm up front -Nine Theses- that provide substantial guidance for the church. The essays and sermons that follow both amplify and model the approach to Scripture outlined in the Nine Theses. Lucidly conceived, carefully written, and shimmering with fresh insights, The Art of Reading Scripture proposes a far-reaching revolution in how the Bible is taught in theological seminaries and calls pastors and teachers in the church to rethink their practices of using the Bible. Traverses the ancient world's three great centers of cultural exchange - Babylonian Nineveh, Egyptian Memphis, and Iranian Perseolis - to situate classical Greece in its proper historical place, at the Western margin of a more comprehensive Near Eastern- Aegean cultural community. 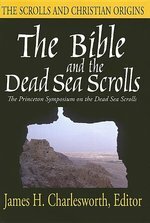 Written by one of the world's leading scholars of Bedouin culture, this groundbreaking book sheds new light on significant points of convergence between Bedouin and early Israelite cultures, as manifested in the Hebrew Bible. Bailey compares Bedouin and biblical sources, identifying overlaps in economic activity, material culture, social values, social organization, laws, religious practices, and oral traditions. He also examines the question of whether some early Israelites were indeed nomads as the Bible presents them, offering a new angle on the controversy over their identity as well as new cultural perspectives to scholars of the Bible and the Bedouin alike. The Bible and the American Myth challenges the academic study of the Bible to orient itself to cultural criticism. 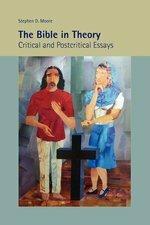 The essays model an approach to the study of the Bible that entails efforts to fathom not only the meanings of texts, but the role of texts in the construction of meaning.It is all the more fascinating and poignant that the essayists are students of theology of varied backgrounds. What they have in common is the pursuit of theological studies at the mouth of Harlem. This location at the turn of the century inspired them to think differently about the focus and agenda of theological studies, especially biblical studies. Each essayist is convinced that the study of the Bible should entail the study of cultural construction and deconstruction, the study of the making and unmaking of cultural myths that shape existence. From the first centuries of Islam to well into the Middle Ages, Jews and Christians produced hundreds of manuscripts containing portions of the Bible in Arabic. Until recently, however, these translations remained largely neglected by Biblical scholars and historians. In telling the story of the Bible in Arabic, this book casts light on a crucial transition in the cultural and religious life of Jews and Christians in Arabic-speaking lands. In pre-Islamic times, Jewish and Christian scriptures circulated orally in the Arabic-speaking milieu. After the rise of Islam--and the Qur'an's appearance as a scripture in its own right--Jews and Christians translated the Hebrew Bible and the Greek New Testament into Arabic for their own use and as a response to the Qur'an's retelling of Biblical narratives. From the ninth century onward, a steady stream of Jewish and Christian translations of the Hebrew Bible and New Testament crossed communal borders to influence the Islamic world. The Bible in Arabic offers a new frame of reference for the pivotal place of Arabic Bible translations in the religious and cultural interactions between Jews, Christians, and Muslims. A crucial responsibility for Christian interpreters of Scripture, says Richard Bauckham, is to understand our contemporary context and to explore the Bible's relevance to it in ways that reflect serious critical engagement with that context. In this book Bauckham models how this task can be carried out. Bauckham calls for our reading of Scripture to lead us to greater engagement with critical issues in today's world, including globalization, environmental degradation, and widespread poverty. He works to bring biblical texts to bear on these contemporary realities through the Bible's metanarrative of God and the world, according to which God's purpose takes effect in the blessing and salvation and fulfillment of the world as his cherished creation. For millennia, people have used the Bible as a touchstone on important social and political questions, and rightly so. But many use the Bible simply as a weapon to wield against opponents in a variety of debates--without knowing what the Bible actually says about the issue in question. 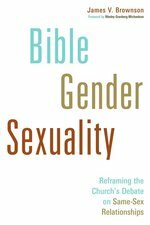 In The Bible Now, two respected biblical scholars, Richard Elliott Friedman and Shawna Dolansky, tell us carefully what the Hebrew Bible says or does not say about a wide range of issues--including homosexuality, abortion, women's status, capital punishment, and the environment. 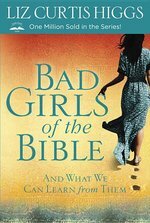 In fascinating passages that shed new light on some of today's most passionate disputes, the authors reveal how the Bible is frequently misunderstood, misquoted, mistranslated, and misused. For instance, those who quote the Bible in condemning homosexuality often cite the story of Sodom, and those who favor homosexuality point to David's lament over the death of Jonathan. 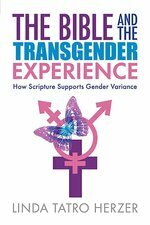 But as the authors show, neither passage is clearly about homosexuality, and these texts do not offer solid footing on which to make an argument. Readers learn that female homosexuality is not prohibited--only male homosexuality. And on the subject of abortion, the Bible is practically silent, with one extraordinary exception. The Bible has inspired people to do great good but has also been used by people to do great harm, so it is vitally important for us to pay attention to it--and to get it right. The Bible Now shows us how we can--and cannot--use this ancient source of wisdom to address our most current and pressing issues. Bible on Culture: Belonging or Dissenting? Legrand examines the Bible's attitude to faith and culture in three parts: Israel and the nations; the cultural world of Jesus; and Paul and beyond. In each part he offers a synthesis of current research on the cultural ambience studied and discusses the core texts that show the Bible's stance toward culture. 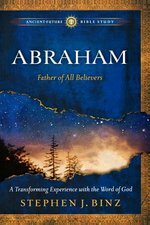 The controversial Bible scholar and author of The Evolution of Adam recounts his transformative spiritual journey in which he discovered a new, more honest way to love and appreciate God's Word. Rejecting the increasingly complicated intellectual games used by conservative Christians to "protect" the Bible, Enns was conflicted. Is this what God really requires? How could God's plan for divine inspiration mean ignoring what is really written in the Bible? These questions eventually cost Enns his job--but they also opened a new spiritual path for him to follow. The Bible Tells Me So chronicles Enns's spiritual odyssey, how he came to see beyond restrictive doctrine and learned to embrace God's Word as it is actually written. As he explores questions progressive evangelical readers of Scripture commonly face yet fear voicing, Enns reveals that they are the very questions that God wants us to consider--the essence of our spiritual study. It is sometimes said that the Bible is one of the most unread books in the world, yet has been a major force in the development of Western culture and continues to exert an enormous influence over many people's lives. This Very Short Introduction looks at the importance accorded to the Bible by different communities and cultures and attempts to explain why it has generated such a rich variety of uses and interpretations. 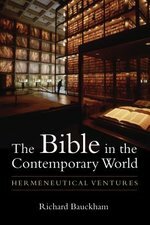 It explores how the Bible was written, the development of the canon, the role of Biblical criticism, the appropriation of the Bible in high and popular culture, and its use for political ends. 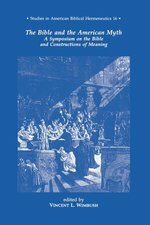 Outstanding scholars treat the evolution of the biographical traditions of fourteen biblical figures during the second temple, late antique, and medieval periods.